The World Cup Final 2014 is finally upon us. However, it may be the day of the final but the beautiful game continues to surprise us all, especially everyone who is somewhat involved in the fashion industry. We have seen it before here on Mark My Style that fashion power houses like Dolce & Gabbana, Lanvin and Versace are teaming up with more and more teams to produce mouth-watering suits. But it is Louis Vuitton that has turned all the heads yet again. 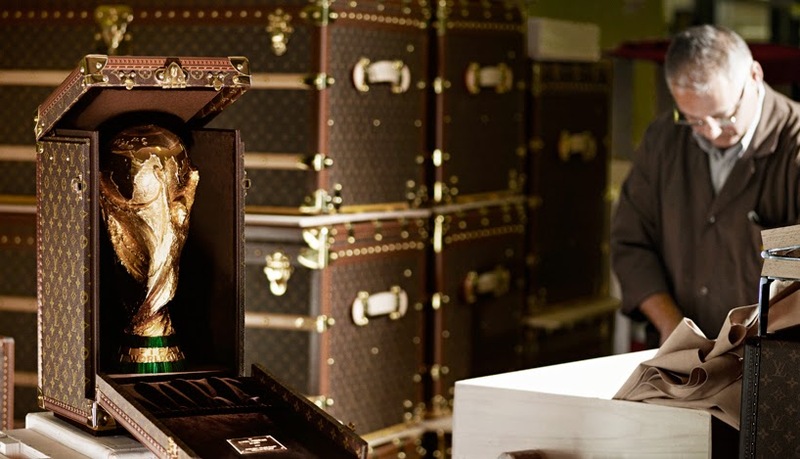 Louis Vuitton has been commissioned once again by FIFA to develop the official case for the 2014 world cup trophy. 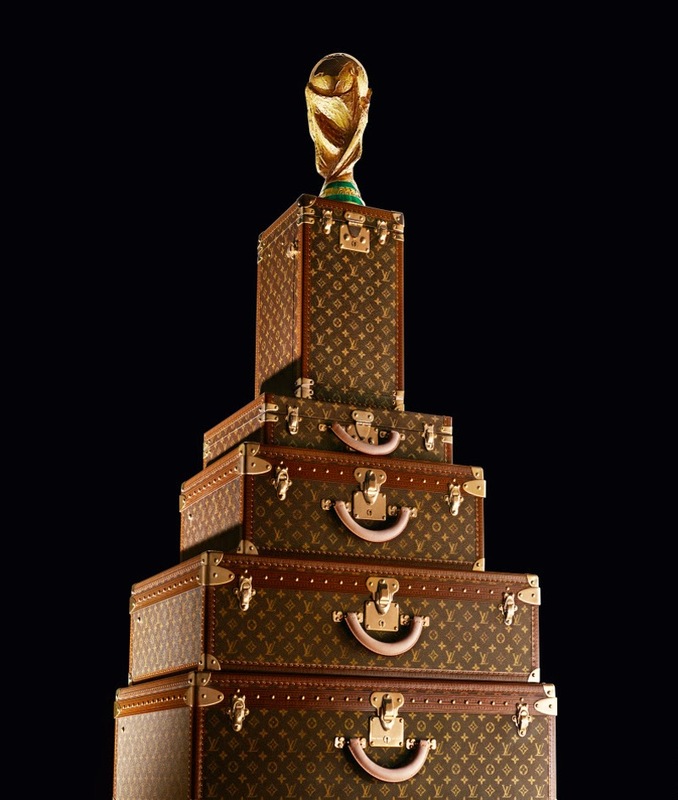 You would never expect to see Louis Vuitton and World Cup in the same sentence but the French luxury house has produced a one-of-a-kind, custom-made trunk – complete with LV’s iconic monogram across the entire exterior – for the trophy to be transported for the world cup final at the legendary Maracana stadium in Rio De Janeiro. The bespoke leather and brass container marks Louis Vuitton’s second consecutive collaboration with FIFA, as they also created the traveling case for the 2010 world cup trophy. Its pretty impressive don't you think? So who do you think is going to win tonight? I had my money on Holland but that didn't turn out so well. But despite who finishes first, second or third, these recent developments definitely show encouraging signs for the sport that is becoming more and more stylish as each year passes.